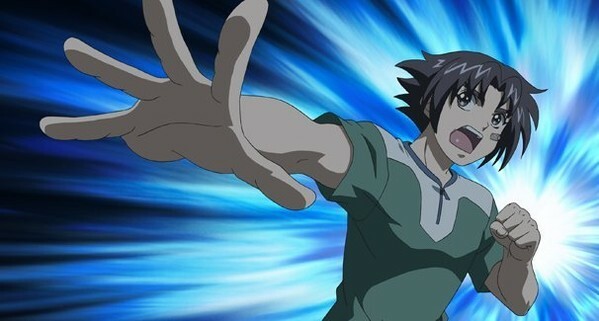 Kenichi is approached by the scariest one of them all but lucky for him none of these people mean him any harm (well not purposely). The biggest of them all actually ends up being Miu's Grandfather whom hesitant he ends up accepting him as their student (or disciple) after a long talk with the rest of the scary looking people. Instead of Kenichi being trained by Miu's Grandfather he is trained by those scary looking people: Akisame who is a master at Judo and making sculptures, Shio is a master in street fighting and drinking alcohol, Kensei is a master of Chinese martial arts and is also a huge pervert, Shigure is another very well endowed female that is a master of weaponry, and Apachai is the gentle giant who is an expert of the art known as Tai-Chi. 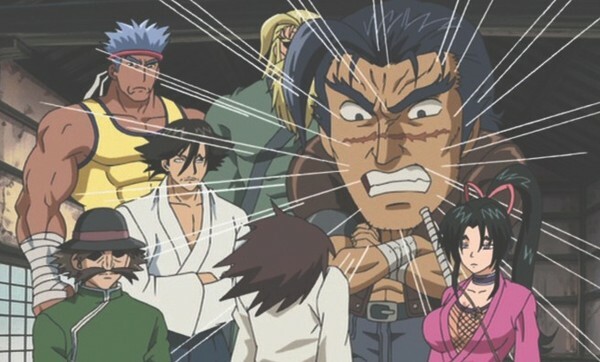 Kenichi soon finds out that these people aren't as scary as he initially thought they'd be... until he starts training with them. Will Kenichi survive his training? Will the bullies get their revenge? 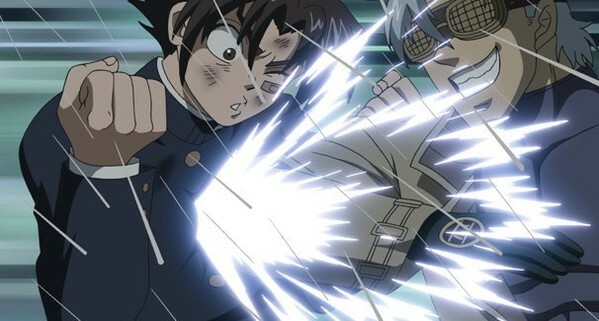 Well I'm sure if Kenichi could handle his very hard training he should find that the bullies to be a piece of cake. This show's story may be very cliché and overdone and that would normally be enough to turn you off a show... but instead of hating it for those reasons you will find that they surprisingly work very well making all the clichés very charming and exciting. This show is quite long too running at fifty episodes but you need not fear as you get a very satisfying story that has a start, a middle, and an end with barely any filler episodes. You will also find yourself getting hooked right from the first episode and before you know it you'll be finished with the show as it is quite addicting to the point where you can't only watch one episode at a time but rather in sittings that consist of six to seven episodes. The downside is that some episodes tend to have long "on the previous episode" segments that can get a little frustrating as they typically take up a quarter of an episode but you will get one or two that will take up half the episode. While frustrating those segments aren't in as many episodes as you think but alas still frustrating when they happen. I loved the characters in this show as they were all pretty interesting and yes they are all made up of martial art stereotypes but it is done in a way where it feels like a classic martial arts film like "Enter the Dragon (1973)" making them extra charming and will sure be a hit for fans of classic martial art films. Another thing I like is that the character development feels very natural and not forced at all. 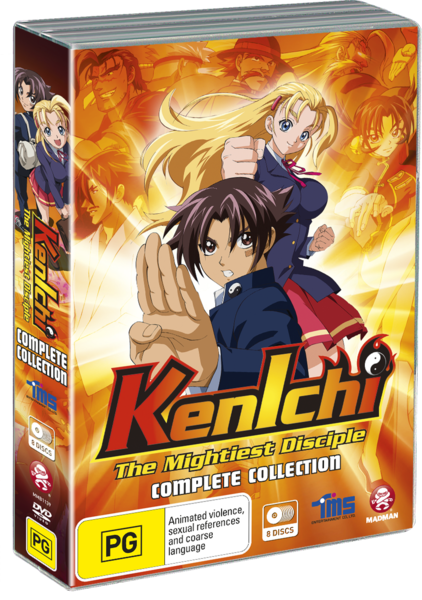 I also like that Kenichi doesn't win fights just because he is the main character but rather he has to work very hard at his training to learn moves so he can defend himself and his loved ones. The action scenes are very good with some exciting moves and suspenseful moments that keep you on the edge of your seat. Another great thing is that all the fights don't go on for a very long time with them running for an episode and a half at most. 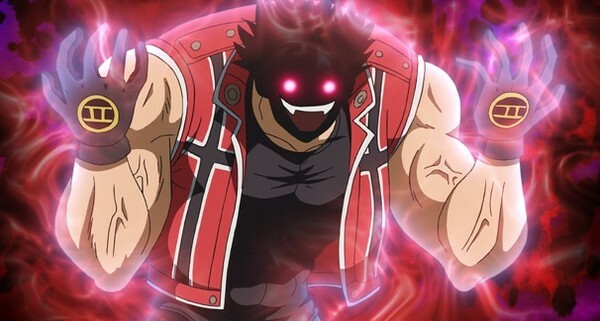 Character designs are very generic and look like they were ripped right out of a sketch book from some collage art student who reads "learn how to draw manga" books. But does that mean they are eyesores? Heck no they look pretty good in terms of coloring and structure. The main characters do suffer from looking like Calvin Klein models but it does also work both ways so both men and women are very exaggerated in the good looks compartment so you can't pull the "sexist card" with this one. Background artwork looks decent with some very nice coloring although it does have some inconsistencies like one minute a river may seem shallow with them walking in it with the water up to there knees and the next minute BAM they put their head under to reveal that it is very deep (what are they messiahs or something?). Also towards the later episodes of the show we have some fire scenes and when it cuts to people talking we see the smoke from the fire in the background yet it is very static even though there are characters moving and talking which is very lazy design. Other than that the character animation was decent although I wouldn't say it's great but it does the job good enough to avoid negativity. English dub works very well with the mood of the show and helps makes the characters really darn charming to the point where you'll forget about the flaws that this show has. Soundtrack is very mixed with some heavy rock, opera, and pop which none are misused and work very well with this show building some good atmosphere. Special features are what you'd expect with every variation of the text-less opening and closing credit sequences which are all very nice and interesting to re-visit. Overall while this show is far from perfect I really, really enjoyed it. I highly recommend checking this one out as it is a very fun show and you won't be disappointed. This is a great review! Kenichi is excellent and you're so right about it hooking you in from the start and there not being too much "filler". I've just bought the complete collection and am currently working my way through it all again - a great series!